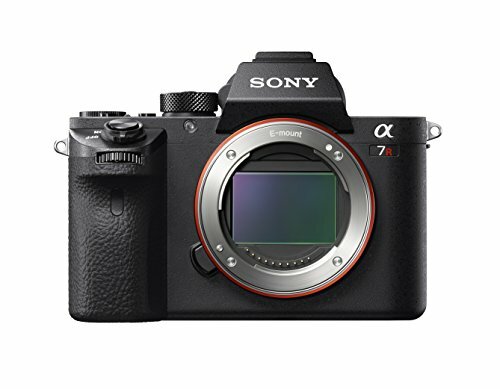 Now that the Sony A7RII is shipping to customers, there are lots of reports coming in about the camera. More importantly there are now raw files available online that you can download and check out, and Lightroom and ACR (along with Capture One) all now support the camera too. I've been reading a lot about this new Sony for a while now, and I am very interested in it, as it seems like Sony has really listened to its customers and created a very impressive camera. As with many new cameras, specs can only tell you so much. You really need to try it. Unfortunately there's no sign of it here in Ireland yet, and back orders will undoubtedly be huge. So for now, you can at least have a look and see with the Raw files hold up like. There are a few sites where you can get Raw files from the A7RII. both the Photography Blog ( here and here also) and Imaging Resource have a good selection. I downloaded a selection of images from the Photography Blog and loaded them into Lightroom. Playing around with the shadow and highlight sliders, you can easily see that like all sony cameras the A7RII has great dynamic range. What I was surprised about though is how well noise is handled on the camera. Considering the high pixel count, I had expected the result to show some noise but images are very clean. They're much cleaner than my (admittedly getting old) Canon 5DII. While this isn't going to be a high iso monster, the files at 1000 iso are remarkably clean. The biggest issues all seem to stem from the fact that Sony is still using its weird compressed raw format. It does seem odd that you would go to the trouble of creating such a good sensor, and then cripple it by only having a compressed raw format. Some people are quite upset about this, but I'm not sure how much of a big deal this is in real world conditions. Another complaint was that Sony "bakes" certain things into their raw files, in particular sharpness. This does seem to be the case, and in fact I went back and checked some of my own Sony raw files, and they seem to be doing this on the A6000 too, which is kind of an odd thing to do. I never noticed this before mind you. Video wise, the camera is getting great reviews. Johnnie Behiri over at Cinema 5D shot some great test footage, and gave it a great review. The A7RII is certainly one of the most interesting cameras that Sony has released in a while, and I can't wait to try one in person. I only hope that some of the reported issues are overblown, or that Sony can fix them with a firmware update. A company representative has acknowledged the issues with Sony's raw format, so hopefully there will be a solution for that soon. It would be a shame for Sony to release an otherwise amazing camera only to have it limited in its full potential by some stupid and unnecessary software issue.